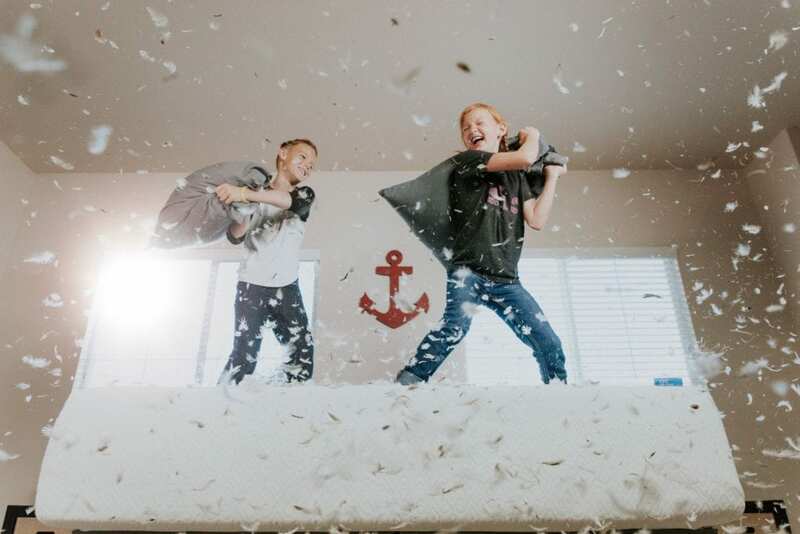 Earning money doing what you love while staying at home with your kids is a dream come true for entrepreneurs who can pull it off. Small children who aren’t in school yet need a lot of your attention. Yet, for you to succeed as an entrepreneur, so does your business. Working at home with kids requires finding a balance, so there are some trial and error involved as you “find your groove.” Every work-at-home parenting setup will look a little different, but one thing is the same across the board: the more you plan ahead and strategize, the more you’ll be able to accomplish work without compromising your parenting. When you’re juggling everyday parenting tasks with things you need to get done for your business, it’s tempting to try and multitask. However, doing tasks one at a time speeds up the time it takes to do them, and red uces the stress that builds up when you’re doing too much at once. Research shows that multitasking is really just “switch-tasking,” and that switching between tasks only interrupts you and takes away from your time spent accomplishing them. Planning helps you avoid the temptation to multitask, and ensures you fill up your time doing only the things that matter. It’s a time management skill you have to master if you’re going to stay productive working at home with kids. Each day, plan out not just your work tasks with a prioritized to-do list, but also activities for the kids. It’s great if they take initiative to play on their own, but always have a new activity up your sleeve so you keep them occupied. Hide a couple of old toys and then whip one out when you need something “new” to entertain your child so you can tackle another item on your to-do list. Create routines for you and your kids that help you get things done, but plan enough breaks in the routine to keep it exciting for your little ones. You need to have your own workspace that turns on your entrepreneur’s brain so that you can quickly shift modes when your child is occupied with playing or napping. You could set up a desk in the playroom so that you’re keeping an eye on the kids while working, and then you can have space to yourself while they’re napping in other rooms. Have a drawer or shelf where you can put your phone while you’re at your desk to help you ignore the temptation to check notifications and indulge in other distractions so you can make the most of both playtime and nap time. Getting up early before anyone else wakes up and working the graveyard shift is often the best way to get your most important tasks out the way. Getting a chunk of important work done first thing takes pressure off the rest of your day so that you’re not stressing out while you’re with your kids. Drown out distractions so you can tackle only your top priorities during this precious alone time. It can help to get your child on a consistent schedule with napping, so have a ritual for them that winds them down for sleep. Once your child falls asleep, though it may be tempting to indulge in something more relaxing, get in the habit of making nap time an uninterrupted, productive work session. Turn your phone on airplane mode if you have to. Ignore distractions like emails and housework so you can make the most of the peace and quiet and accomplish critical tasks or get on an important Skype call. It’s easy for your productivity level to drop when you’re shifting gears between kids and work. To kick your brain into work-mode faster when it’s time to work, have a habitual way of getting started. A ritual you consistently use, like burning a candle at your desk or having a cup of coffee at your side, can train your brain to get right into the rhythm of working. When you’re a parent and an entrepreneur, you have a lot on your plate. Try to simplify or automate tasks in your life outside of parenting and business as much as possible. For example, you could hire someone to help you with cleaning, or you could order groceries online for pick-up or delivery instead of taking the time to shop. When your little ones really want your attention, there’s no way you’re going to get anything done. It’s important you make time for undistracted playtime so you can spend time with each other. When they see that mom or dad isn’t all work and no play, they’re more willing to play on their own at other times during the day. Exercise reduces your stress levels and makes the rest of your day better. It gives you confidence, improves your mood and, of course, it improves your health. Exercise also gives you the stamina it takes to juggle entrepreneurship and parenthood. Prioritize exercise by sticking to a regimen that works for you. If you can incorporate your kids into it, it’s a great way to spend time with them, but if not, make sure you fit it into your day regardless. Meditation allows you to hit the reset button at the end of the day so you can stay balanced and relax.If you never take time to unwind, you won’t be productive in the long term. Meditation is proven to promote relaxation and mindfulness and lower your risk of anxiety and depression. It’s even shown to boost your IQ. While it’s tempting to have a glass of wine in front of the television at the end of the day, meditation is a way to unwind that provides benefits extending far beyond the momentary feeling. That’s not to say you shouldn’t pamper yourself on occasion. If you don’t pat yourself on the back and do something fun now and again, you’re putting yourself at serious risk of burnout. But make 5 to 10 minutes of meditation part of your daily routine no matter what you do, and you’ll see a big pay-off when it comes to your mental health. Succeeding in business while you’re at home with your kids comes down to your everyday habits and routines. The little things that keep you sane also play a role. Try these productivity hacks and continually tweak your strategies based on what works for your business and for your kids so you can get the best of both worlds.